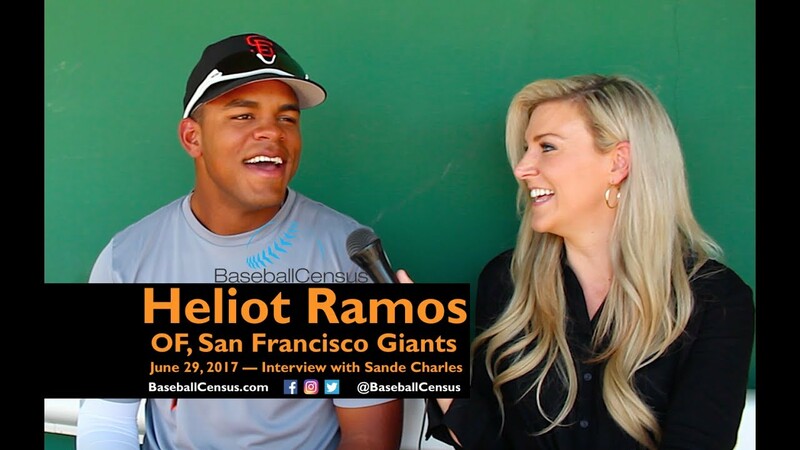 Heliot Ramos was the Giants #1 pick (#19 overall) last month. I've been researching this kid and something about him makes me feel he's going to be the big time star outfielder the Giants have lacked for years. He's from Puerto Rico and he's only 17 years old (turns 18 on Sept. 7) so he several years away from the major leagues. Here's Ramos talking at AT&T Park after he signed. Grant Bissbee chimes in about Ramos. In the last 40 years the Giants have picked a high school outfielder in the first round just four times. Ramos signed quickly with the Giants for just over $3 million. He's currently playing in the Arizona League and is crushing the ball so far hitting .425/.500/.850 in 10 games. Here is some video of him from last week. If he continues to crush the ball I wonder if the Giants will promote to short-season Salem-Kiezer in Oregon? Last edited by Honus Wagner Rules; 07-24-2017, 12:10 AM. He's a big kid, and he uses his body well in his swing. I'd give him some rope and let him go to Salem. Oh and I like how he already knows how to plant his foot outside the batters box! I'm thinking give him 25-30 games in Arizona and if he's still pounding the ball send him to Salem-Kiezer in early August. If that happens and he does well there perhaps he starts 2018 at low-A Augusta. That would rock KH! An 18 year old in the Cal League is pretty rare. Yesterday he had a 4 hit game with 3 runs and 4 RBI. 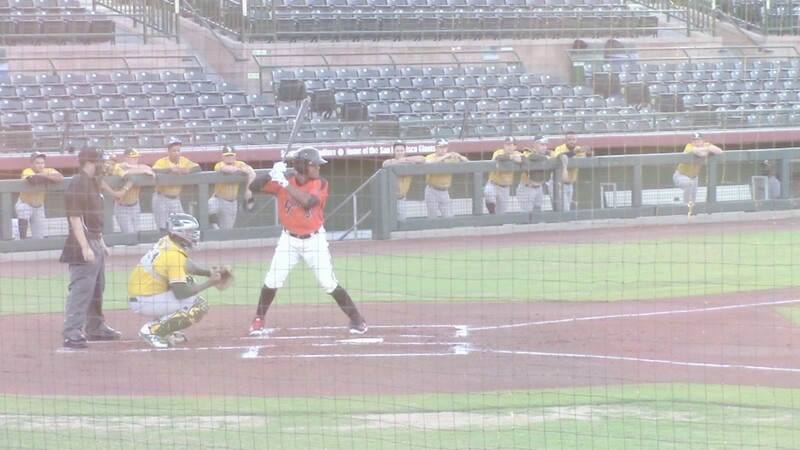 In 15 games he's now hitting .397/.449/.778, 3 HR, 12 RBI, 19 runs, 7 doubles, 4 triples, 5 SB, 5 BB, 19 K.
If he continues to kill it in the AZL, no point in having him stay there. Lets get him to Salem and then to Augusta! I'm wondering if the Giants are waiting for Ramos to get 100+ plate appearances? He's absolutely killing it hitting .397/.446/.750 in 74 plate appearances. I hate round numbered thinking!! Just because 100 is a easy number to remember, it doesn't have any real meaning. Same with 100 pitch counts. Each players "number" is different. Yet if a pitcher goes past that number managers get second guessed, and managers hate that. If they are holding the kid till 100, there better be a good reason, since he clearly has figured out the pitching where he is. Last edited by KHenry14; 07-27-2017, 07:21 PM. Ramos went 1 for 6 with 4 K's yesterday. It seems he a very aggressive hitter with 26 K's and just 5 walks so far. He hasn't drawn a walk since July 7th! Since his last walk he has 20 K's. He needs to work on that. Not really surprised the kid is overly aggressive. Being a patient hitter takes time and good coaching. The good ones all learn this eventually. Yeah, I think he's so young and I bet he has dominated baseball since he was kid being aggressive at the plate. It's not an issue yet since he's dominating in rookie ball. It won't be an issue until high A or AA ball. But with more experience and good coaching he should get better. I have a Feeling that Ramos will no go to SaleM-Keizer this season. He'll start the 2018 season in Augusta.